Trial Court Abused Its Discretion In Remitting $30 Million Wrongful Death Jury Verdict Against State | Jones, Skelton & Hochuli, P.L.C. 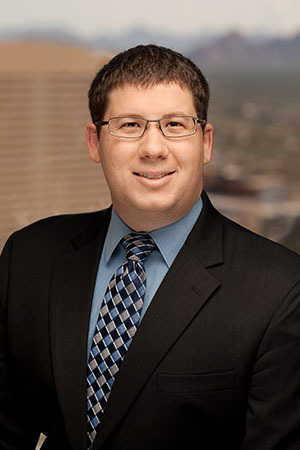 The Arizona Court of Appeals yesterday vacated a trial court order remitting a wrongful death verdict against the State from $30 million to $10 million. During a law enforcement pursuit by State and City law enforcement officers, the criminal suspect’s vehicle struck and killed Plaintiffs’ son. Plaintiffs sued the State for wrongful death on the theory that the pursuit was unnecessary and dispatchers failed to communicate essential information. After trial, a jury awarded Plaintiffs $30 million, finding the State 5% at fault. The State moved to remit the verdict, arguing that it included unavailable punitive and compensatory damages and was excessive under the facts of the case. The trial court granted the motion and reduced the verdict to $10 million, which reduced the state’s liability from $1.5 million to $500,000. Plaintiffs appealed, and the court of appeals originally reversed the remittitur. On review, the Supreme Court remanded the case back to the court of appeals to reconsider in light of Soto v. Sacco, a recent Supreme Court case discussing the standards for remittitur. This opinion was the court of appeals decision on remand, and it reaffirmed its reversal of the trial court’s remittitur. The trial court had failed to provide the requisite sufficient specificity for its order, describing “why the jury award is too high or low” in “sufficient detail to apprise the parties and the appellate courts of the specific basis for the court’s ruling so that they may avoid speculation.” The trial court’s ruling, said the court, merely restated the remittitur rule while failing to provide this specificity. Under Soto, a remitter order that lacks specificity may still be affirmed, but only where the party seeking to uphold the remittitur on appeal can demonstrate that the order “was supported by substantial evidence and did not constitute an abuse of discretion.” In this case, the State failed to carry this burden. The court first found the verdict not excessive on the ground that “it was based on noneconomic damages alone,” as the State had argued. Wrongful death damages encompass a wide range of noneconomic damages, including a decedent’s earning capacity, the loss of companionship, comfort and guidance caused by the death, and the survivor’s emotional suffering. And nothing in the amount of the jury’s award suggested that the jury exceeded its authority or acted out of passion or prejudice. The record contained substantial, undisputed testimony regarding Plaintiffs’ profound emotional distress, anguish, and the loss of companionship of their son. The court found that the $30 million verdict, when combined with the 5% attribution of fault to the State, reflected a “temperate deliberative process.” Also, though Plaintiffs’ counsel had suggested that the jury should “prevent future deaths,” thus improperly implicating unavailable punitive damages, the court said the jury instructions adequately limited the jury to compensatory damages. Finally, the court of appeals found the State’s comparisons of this verdict to other jury verdicts in similar cases insufficient to justify the remittitur. In short, the Court held that the trial court abused its discretion in remitting the verdict and remanded the case for entry of judgment on the jury verdict.